***Adult prices DO NOT include USAT $15 One-Day Membership Fee, if not annual member. 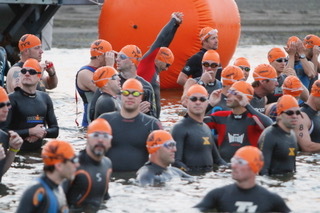 All fees after 6-1-14 add $5 to fees stated above for individual events, and $10 for relays. After May 31st add $10 to price above. Some of our registered racers contact us to let us know that life has thrown them a few curve balls since the day they registered. For a limited time, we are allowing RACE CHANGES - if you are already registered for one category, you can change to a different category. Please be aware that if there is a difference in price, you will be responsible for those fees and a processing fee when you change. ***Athletes MUST be USAT member to race. Annual or one day member. NO EXCEPTIONS! !